Are you are landlord, owner of a property portfolio or managing a portfolio on the owners behalf? Then the Big Boiler Shop Landlord package is for you! Download our free guide to help Landlords make the right choice when installing a new boiler. Having the right information at your fingertips could save you hundreds of pounds. We are the region’s leading boiler installation company. We install new boilers in Sheffield, Rotherham, Doncaster, Chesterfield, South Yorkshire and beyond. How can we help you? Contact us today to find out! We went to Ideal boilers head office to chat with one of their head honchos about why an Ideal boiler may be the right choice for your next boiler installation. Big Boiler Shop has created bespoke landlord boiler installation packages for the private let homeowner and your heating installation needs. 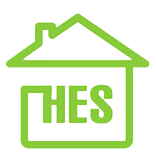 Do you want professional, industry-leading affordable boiler installation for your buy-to-let home or portfolio of homes? Then look no further! Big Boiler Shop are number one for service, affordability, and quality (see our reviews here ). We are sympathetic to the needs of your residents and understand what is important to you. We are the leading boiler installer in the region and our packages are perfect for new boiler installations for landlords. Our buy to let heating packages are the best in the industry for value, delivery, and assurance. Whether you are managing a 1 bed flat or a 5 bedroom, 3 bathroom home, our Landlord Packages are what you need. Our local gas engineers are all gas safe registered (Gas Safe site) and with our Big Boiler Shop customer charter, you know your property is in safe hands. Remove the hassle from your private let heating problems by using Big Boiler Shop for your home energy and be assured that you will have a warm home, warm residents and peace of mind in no time! Call or email (contact form on the home page) now and speak to one of our team who will advise the best landlord installation package for your needs. Designed to help you get a new boiler in the fastest time possible. Quick & simple quotes, helping take the stress from you and your tenants. We offer a number of options allowing you to choose the boiler that fits your budget. Need a new boiler quick? Call the emergency number. We also offer landlord gas safety packages.